When the game begins in New Orleans this Super Bowl Sunday, 80,000 people had better get ready to die. 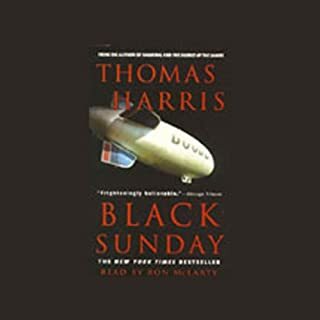 Before there was Hannibal and The Silence of the Lambs, Thomas Harris wrote Black Sunday, the gripping, suspenseful, and "frighteningly believable" New York Times best seller. Invite Hannibal Lecter into the palace of your mind and be invited into his mind-palace in turn. Note the similarities in yours and his, the high vaulted chambers of your dreams, the shadowed halls, the locked storerooms where you dare not go, the scrap of half-forgotten music, the muffled cries from behind a wall. 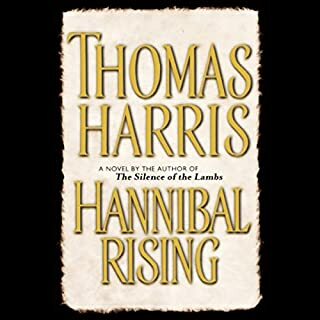 In one of the most eagerly anticipated literary events of the decade, Thomas Harris takes us once again into the mind of a killer, crafting a chilling portrait of insidiously evolving evil - a tour de force of psychological suspense. What would have made Hannibal better? 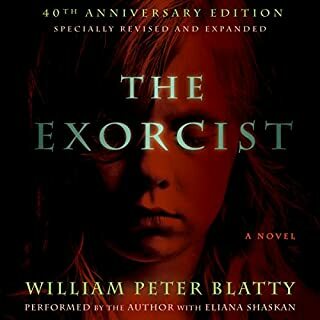 The Audible Unabdridged version of the book does not include the last 25 pages. The conclusion, with its unexpected and dramatic turn of events. The plot is exciting, and the absence of a conclusion is disorienting. If you could play editor, what scene or scenes would you have cut from Hannibal? I would have not cut any scene, but I would certainly have included the final 25 pages. Without them, the book appears incomplete. The Audible recording should be revised, to include the end of the book. Hannibal ranks as one of my favorite books. 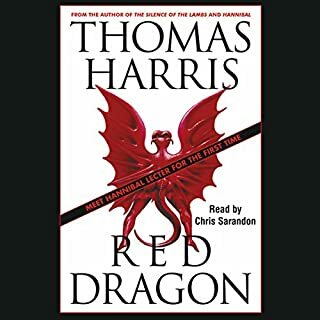 It is fascinating how Thomas Harris successfully created an admirable villain, but in a weird ironic way, Hannibal makes the world a better, because he only attacks/eats those who are vile. I think there is a quote in the book where Barney (former orderly in Silence of the Lambs) says, "Dr. Lecter said he only ate 'the free-range rude.'" Mason Verger is one of Hannibal's earlier victims who wants revenge, and he will stop at nothing to repay Dr. Lecter with a similar fate as his. 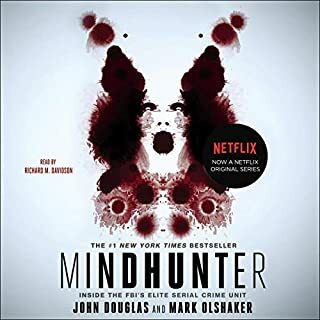 As I listened to the book, I didn't know who was the sickest: Verger; Dr. Lecter; Harris for creating these characters; or me for enjoying them. What I particularly enjoyed about the book was how brilliant Lecter was; from his knowledge of Medieval literature, to his nearly perfect Italian, to his quick wit, to Hannibal's memory palace. I loved the book; however, since I have listened to the unabridged version of the book numerous times, I was dissappointed to discover that this book really lies somewhere in that Purgatory between abridged and unabridged: certain quotes and lines were left out and the book abruptly ends with about 25 pages left. These 25 pages are crucial, because they demonstrate the consequence of greed, which is a major theme in the book. 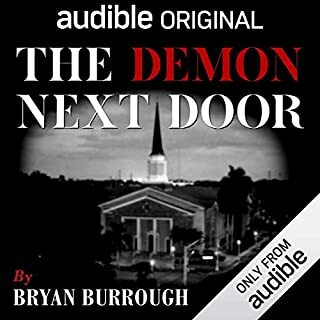 Despite the lack of quality control from Audible on this one, I still gave it a 4-stars out of 5. It is definitely worth listening to, and who knows? by the time new listeners download the book, this problem may be corrected. If not, go to the local library and check out the book and read the final 25 pages, because it is definitely worth the time. Sorry! I could barely understand Mason Verger. I know he was severely disformed but the narrative for his lines could have been clearer. I only finished the book because I love the written book so much. This is one of my favorite books. Hannibal Lecter is one of the classiest characters I've run across. This book takes you into the parts of his mind that make him brilliant. The book is not all about him but it is great reading. This is not a horror book. Silence of the Lambs was much more visually disturbing. This is more of a Suspense book. It can also be read independently of the others. It says that this is an unabridged book but it is not. It is missing the last few chapters and in my opinion, the most important ones. They just ended a chapter and spiced in "This... is Audible". Either the recording needs to be revisited so that it can be presented in it's entirety or it should be marked "Abridged". All that being said, this is an excellent book and I found excuses to spend extra time with it. Taken by itself, Hannibal is an intriguing, if somewhat unrealistic crime thriller. Compared to its predecessors, though, it is underwhelming and odd. It is not as carefully plotted or grounded as the previous books, and Dr. Lecter is nearly superhuman. I have always enjoyed Harris' realism and journalistic style, but these are lacking in this novel. Gerroll's narration takes some getting used to. He is competent, but often reads too quickly. Some of his character voices are irritating (esp. his Barney) and his Mason Verger is nearly impossible to understand (Verger has severe vocal impediments, and Gerroll imitates them exactly). I wish Frank Muller could have read this book. His narration of "The Silence of the Lambs" was flawless. His Lecter is particularly chilling and rivals Anthony Hopkins Oscar-winning performance. I really wanted to listen to this book but had to return it because of the narrator! First of all he spoke too fast and then when the victim was speaking his words were SO slurred that I could Not understand ANY of it!! Guess I have to READ it!! I am an avid audiobook listener, NEVER have I been completely unable to understand a reader. First and foremost this is a BOOK, and not being able to understand a reader is unacceptable. Character choices made by an actor should come second to understandability, in any form of media. It is very disappointing that this was released, it needs to be re-recorded. 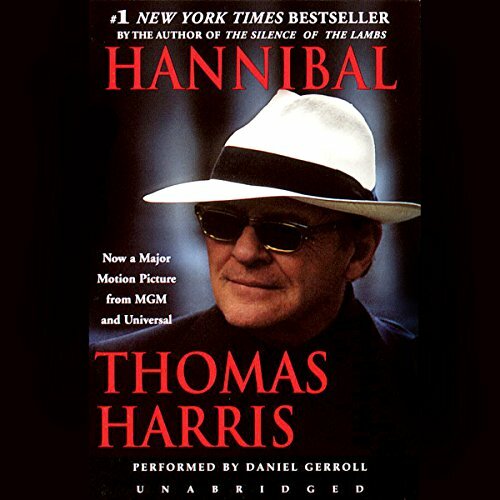 Though due to the movie version of "The Silence of the Lambs" it was given a great deal more attention than the follow up Hannibal is a great book. Though the idea of Hannibal Lecter as the hero is a bit difficult to grasp if you read Red Dragon the extreme villainy of Mason Verger and the sleazy Fed and his treachery Lecter's honest embrace of his own wickedness looks great in comparison. The story itself was great. Took some time to get into the narrator. As others have said a few of the voices (mason verger and Barney) are over the top. Mason in particular is very difficult to understand at times. Would you try another book from Thomas Harris and/or Daniel Gerroll? Yes, I look forward to Hannibal Rising. I don't think I could stand another Daniel Garroll narration unless the book is slapstick comedy. The narrator creates absurd caricatures of the various characters, especially Mason Verger. The Mason and Barney voices are ridiculously overdone and Barney sounds like Woodhouse from Archer and I absolutely hated it. He should have pulled back on the Verger character, it was annoyingly absurd. I get the missing lips but but Gary Oldman really found the right balance in limited speech and getting the communication across.